1 Double-click a layer thumbnail, choose Layer > Layer Style > Blending Options, or choose Blending Options from the Layers palette menu. 2 In the Advanced Blending section of the Layer Style dialog box, choose an option from the Blend If pop-up menu. • Gray to specify a blending range for all channels. 3 Use the This Layer and Underlying Layer sliders to set the brightness range of the blended pixels—measured on a scale from 0 (black) to 255 (white). Drag the white slider to set the high value of the range. Drag the black slider to set the low value of the range. (Mac OS), and drag one half of a slider triangle. The two values that appear above the divided slider indicate the partial blending range. • Use the This Layer sliders to specify the range of pixels on the active layer that will blend, and therefore, appear in the final image. For example, if you drag the white slider to 235, pixels with brightness values higher than 235 will remain unblended and will be excluded from the final image. • Use the Underlying Layer sliders to specify the range of pixels in the underlying visible layers that will blend in the final image. 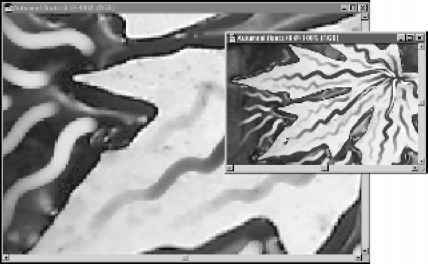 Blended pixels are combined with pixels in the active layer to produce composite pixels, while unblended pixels show through overlying areas of the active layer. For example, if you drag the black slider to 19, pixels with brightness values lower than 19 will remain unblended and will show through the active layer in the final image.